I admit that the southern girl in me loves sweet potatoes. I always go for the bright orange ones, which are sometimes referred to as yams depending on your location. You can buy the white fleshed 'sweet potatoes' I've seen in stores, but I'm not sure who they're kidding calling them that. Personally I would recommend you always look for the bright orange fleshed yam variety. Sweet potatoes are an excellent source of Vitamin A (the beta-carotene responsible for its bright orange color). They also provide and abundance of anti-inflammatory nutrients, and are loaded with fiber. Alongside the sweet potatoes, I generally roast a few parsnips. They caramelize and sweeten when roasted, and have about the same cooking time as sweet potatoes. Look for these root vegetables at your grocery store. They resemble a large, white carrot as they belong to the same plant family. One serving of parsnips provides over one third of your daily Vitamin C requirements, fiber and folate. For our family of five, I generally wash two large sweet potatoes and two parsnips. I cut them into fry size pieces, leaving the skin on, and place them on a large baking sheet. I coat them in extra virgin olive oil or coconut oil, and sprinkle with pepper and salt. Then I roast them in the oven at 375 for a minimum of thirty minutes or until they are soft throughout. Half way through baking, mix them up on the baking sheet a bit so they continue to bake evenly. These are often served alongside Grilled Herb Burgers and a big side salad. So good, and so easy to make too. Increasing the amount of fruit and vegetables you eat on a daily basis can have a huge impact on your health. But while they may be good for you, it can be hard to get started. Subscribe to my newsletter, and you’ll receive instant access to my free 7 part nutrition series filled with tips, tools, and recipes. You'll also receive a printable shopping list designed by me, just for this series. Each week I’ll send you a short lesson about one colorful nutrient. By the end, you’ll be enjoying every color of the rainbow. Along the way, you’ll have learned valuable information about the role fruits and vegetables play in your health, and best of all you’re body will be thanking you. I help people create healthy rituals that lead to lasting change. As a mom of three, and wife of over 20 years, I know what busy feels like. I also know what it means to prioritize health and wellness. 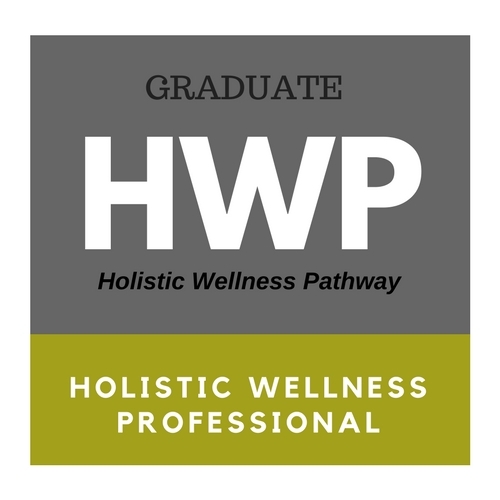 As a Holistic Wellness Professional I specialize in holistic nutrition, clinical herbalism and wellness coaching. I can help you create a life of balance, a life that you love.